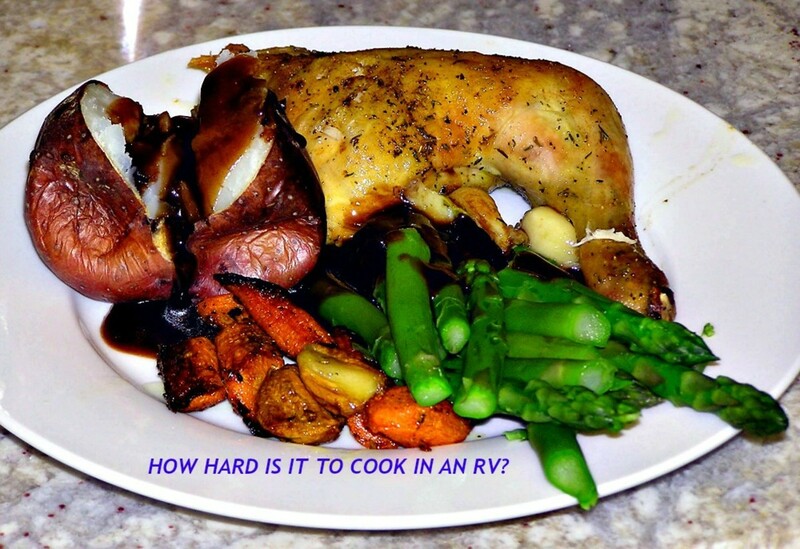 How Hard Is It to Cook in an RV? What Is It Like to Cook in an RV? Preparing meals in a recreational vehicle is as difficult or as easy as you make it. What makes the difference is your attitude. If you plan to fix a lot of cakes and pies from scratch, you will spend your entire vacation in your galley, but why would you do this when you can buy them and save yourself all of that work? This article explores the differences between how you handle food at home and when you travel. After reading it, you can decide for yourself which method works best for you. Cooking during recreational vehicle travel requires you to make some adjustments to your methods, but once you do, your food will be easy to prepare. The galley of an RV is quite different from the cooking area in a standard kitchen because ovens, refrigerators and pantries are small. Counter space and storage areas are limited, and if you use propane for cooking, you must adapt your timing because gas is hotter than electricity. Until you adapt to these differences, the types of meals you prepare will have some limitations. Since there is less room for everything, the chief cook and bottle washer must learn to shop with caution. Too much frozen food won't fit in a small freezer. Large bottles of milk and soda use up valuable refrigerator space and sometimes don't fit on the shelves. Bulky vegetables don't fit comfortably in refrigerator bins. Small items can slide off of refrigerator and kitchen shelves when the coach is moving. 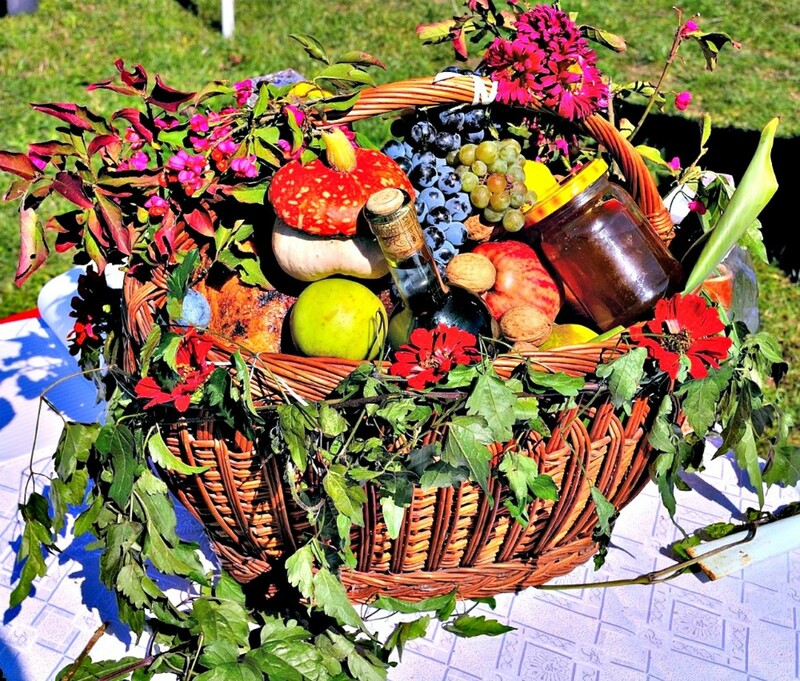 Too much fresh fruit will spoil before it can be eaten. Items packed in liquid can spill. These all are reasons why using plastic containers such as the one shown here make protecting your food easier. They come in different sizes, are unbreakable and many can be stacked as needed. 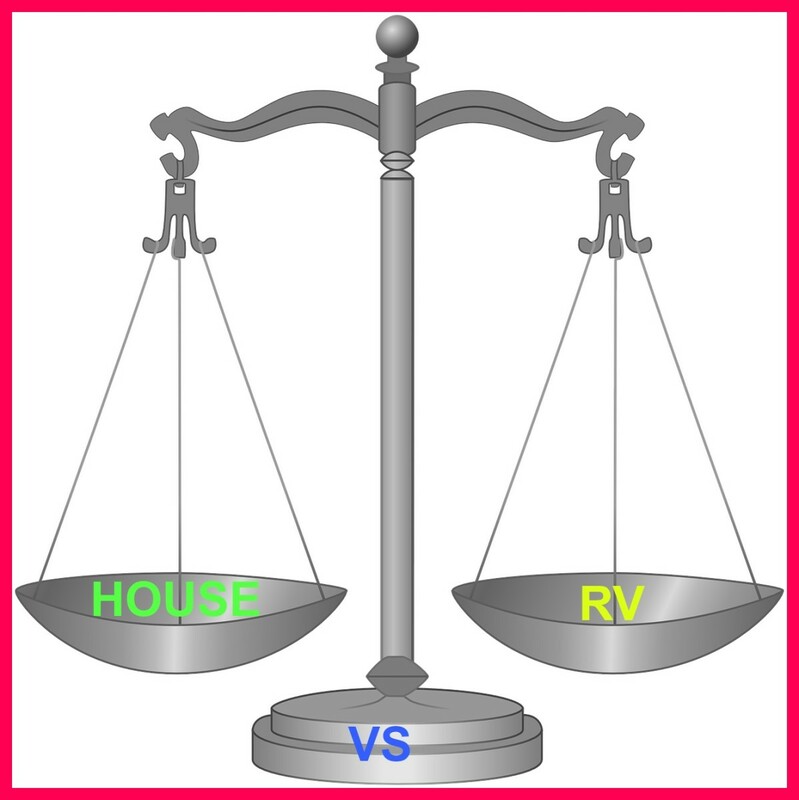 How to Organize and Safely Store the Food In Your RV explains more about this issue. An electric burner is good to have on board for those times when you do not want to waste money on propane. Cooking and baking with propane is financially wasteful. At today‘s prices it costs about $3.50 per hour to use it. If you also use a propane generator for meal preparation, you spend even more. If your coach is parked and hooked up to electricity, use electric cookware instead of your oven or stove top because overnight camping fees include the cost of electricity. Anything that can be cooked on a stove top or oven can be cooked in an electric appliance. If you prefer to use your stovetop, purchase a portable electric burner like the one shown here. These also are good to use for outdoor cooking. Because people travel part of the time and camp part of the time, cooks need to stock their galleys more carefully than they do at home. They also need to use clever ideas to help them prepare easy, healthy, nutritious and tasty meals. To do this, make sure you keep a good mixture of powdered, canned, frozen and instant foods on hand. Most importantly, always plan meals in advance. If the family is camped for a few days, use a crock pot. Even a small one like the unit shown here can provide enough food for a small family. You can cook this way even if your coach is moving, but on those days it is best to use a microwave or electric frying pan. How to Make Easy Crock Pot Meals When RVing tells you more. Install an under-the-cabinet coffee pot, but use it only to heat water. Pour the hot water into a thermos and use it to make hot drinks, iced tea, instant oatmeal or cream of wheat, instant mashed potatoes, soups and any other foods that only require it. Use that same water on travel days. Fill it in the morning after breakfast, and any time somebody wants a hot drink, they can have it. This is convenient and is a money saver because it keeps you from running the generator during the day.. Pull dinner meat out of the freezer in the morning so it can thaw in time for dinner. Carry a few frozen dinners for fast meals at the end of a long day of driving. Carry a supply of nonfat dry milk so that you will always have milk available for drinking, making puddings, etc. Carry meats that can be thawed quickly if necessary, such as shrink-wrapped ham slices. Instead of baking, buy cakes, pies and cookies at the store. It's cheaper, cleaner and easier. Keep supplies of fresh, frozen or canned fruits and vegetables to be used as quick side dishes and desserts. Save leftovers to use for lunches. Store breads and cakes in the oven. This saves counter and refrigerator space and keeps these foods moist. Keep a supply of crackers and cheeses handy. They are good for snacks or for having something light to eat when you're not really hungry. Avoid grills if possible because they are bulky to carry and messy to clean. 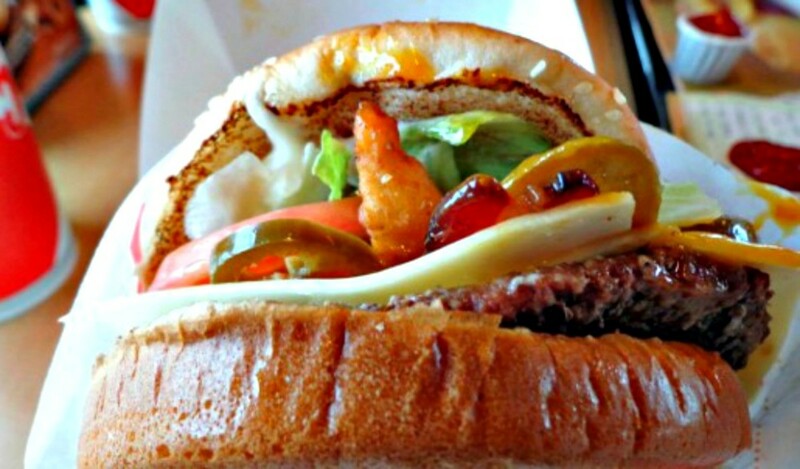 If you miss grilled foods, order them in restaurants as a special treat. Use paper plates and plastic utensils regularly, especially on travel days. 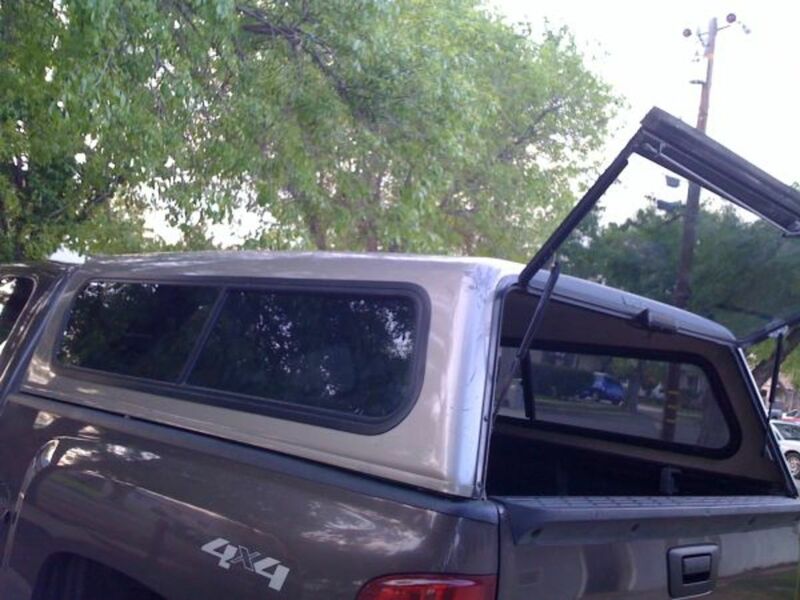 This eliminates most meal cleanup and saves time when you want to get on the road. Use them when feeding guests also. This saves a ton of work. One of the handiest appliances to have on board is this under the counter coffee maker. Just one experience of arriving after dark on a rain-soaked night quickly teaches you that eating a can of Spam for dinner is not much fun. Remember that when you are on the road, you are not at home and thus should not plan to produce meals as you normally do. Make things easy on yourself so that you do not spend more time in the kitchen than you do enjoying your travels. If you pay attention to the tips I have provided in this article, you will find that it is not difficult to cook in an RV at all! Do you think a person can eat as well while traveling in an RV as he can at home? How Do RVers Get Their Basic Utilities? Can I Save Money Living in an RV? Coffeequeen: That depends on how much money you want to spend. Cooking with Propane is very expensive, so if you want to save, you may have to give up a few things such as home baked cookies, pasta and the like. These are things that are difficult if not impossible to cook in a microwave! I've love to own an RV or Camper Van. I think you can east just as well in an RV as you can at home. Wesman Todd Shaw The point is that it IS minimalist...many people do not know how to cook this way and some, who have never lived or traveled in an RV, do not really know what it is like...thus the article!! I do all my cooking in my RV, and here is what I cooked last night....I don't know how it could be thought to be "hard" to cook in an RV, especially seeing as how minimalist homes are what I've only ever had for myself. bsmi021 Your comment shows that you did not read the article carefully. I am speaking here about RV cooking, not home cooking...there is a big difference. Also, when you are in a campground while traveling, electric costs you nothing because it is built into the camping fee. You really should reread this one because your comment actually makes no sense with regards to what I have written here. I feel your article is poorly written (I do not propane cooking?) all pro chefs cook with gas as the control is much better and quicker, Oh the cost of propane is so high? have you looked at your electric bill lately, no matter how you heat and cook is going to cost you big money, but even the electric company's tell you this! I'll admit you've got me on the length of time you've spent in your RV. I just bought propane last week and paid $2.39 per gallon. You have no arguments out of me...you cook your way, I'll cook mine...I do not stop and shop every day and I do have a fully stocked pantry. I was just saying that maybe before discouraging people to use their propane stove, try exploring using yours. I'm not doubting your ability to cook in a frying pan or crockpot, but, as you said, storage is at a premium and since I am a full timer with a husband, 2 big dogs and 2 cats, my storage, and this is just for me, is better used being filled with our other necessities rather than bulky appliances. My sister is a snowbirder in Arizona and she has a Ninja cooking center and a Nu-Wave oven that she swears by...me, myself, I don't see the sense in all that, but I'm not her. I was just giving a different perspective on things and if I contradicted what you have to say and you are offended, I do, sincerely, apologize. But...like you said, we are all different. I just don't want people that are thinking of getting into this lifestyle to be turned off completely to the joys of cooking on propane. Propane is an instant and true heat and I do enjoy it. I would have a hard time going back to an electric stove, that's for sure. I also water bath on my stove, albeit, it does take 2 burners to heat my canner. But, seriously, I've never had the experience that you were speaking of with cooking and running a propane heated water tank of using a gallon of propane a day to do those things...my 5 gallon tank usually lasts me anywhere from 2 to 2-1/2 weeks. Of course, if I'm going to do a roast or something like that, I do have a large 4-burner gas grill with an electric rotisserie, but again, the 5 gallon tank that I have on that only gets filled twice a year. There are products out there that are non-toxic and clean the stove up, slick as a whistle, in no time flat. I don't think it really matters whether one has 50 years or 5 months of living in one of these things...you learn to conserve and to adapt and that's the bottom line. bakedlava: Well then, let's just agree to disagree. I have been RVing for 50 years and have traveled extensively throughout the US, and while propane used to be cheap, it is cheap no longer! The last time I went West it was $2.99 a gallon and hovers near or above that right now. We each choose to cook in our own way, and you certainly are entitled to cook in yours, but my "fresh, home made" food comes out just as tasty and well cooked in my crockpot, electric grill and electric frying pan as yours does with your stove. Also, cleanup is much easier and cost is less. Furthermore, you are only talking about the actual cooking, I speak in this article to food storage issues. When I travel, I don't like having to stop to shop every day, but perhaps you do, but that's the difference in people. I'm glad you're doing so well with your full timing. After fifty years, I still love RVing and hope some day you will have as many years doing it as I have had. Thanks for stopping by. mperrottet: My husband is the one who taught me about crock pot cooking, and let me tell you, when you're in an RV and not on the move, it's a wonderful thing to have! Read my response to sgbrown to see what I use. I think you'll like it to. If you happen to be coming to the Largo/Clearwater when you come to FL email me privately so we can arrange to meet. I would love to meet some other hubbers! Nice to see you again and thanks for reading. sgbrown: The best one I've found to use is a smaller one because it takes up less space and is light weight. Crock Pot makes one you can buy at Walmart for around $12 that will fit in an upper cabinet, is durable and does a great job. Just enough size to cook for two, but if you are creative, you can actually cook for more with it. Glad you are enjoying my articles. I should have organized them a long time ago so people could find them more easily! Thanks for stopping by. Lots of good useful information here. I think your idea of a crock pot is a good one - we'll have to get one before our next long trip. We'll be heading to florida for the winter, and some crock pot meals would be real nice. leroy64: RV cooking is indeed a challenge, but it's also fun. Give it a try and thanks for the visit. RV cooking looks like a fun challenge. I have never cooked with propane; but, I have used electric skillets when I was younger. They are very versatile. Enjoyed the hub. Hi Stephanie, nice to hear from you again. I don't keep my appliances on my counter top...I store them in an upper cabinet in the living room and use them as needed. We rarely boondock, so I don't carry an outdoor grill...too bulky and too messy for me! 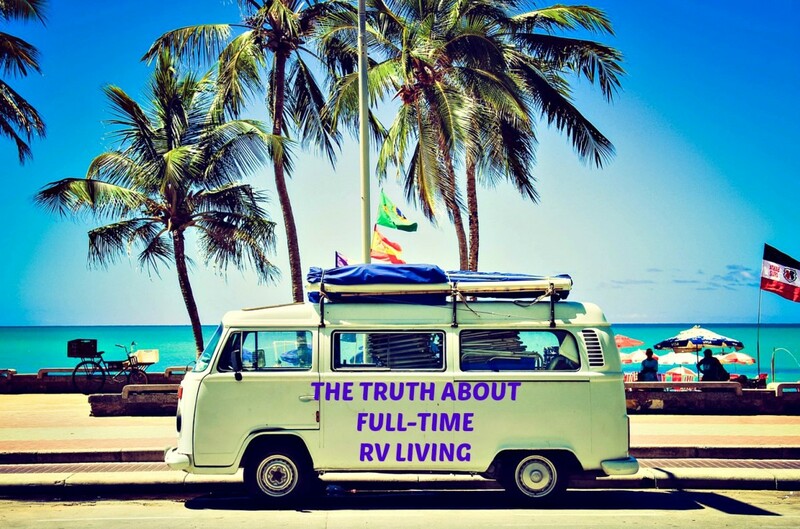 Yes, RVing IS wonderful...I'm leaving for three weeks shortly and am I EVER ready! Summer's almost here, so get ready to go! Thanks for visiting. Some good tips here, especially your tips on shopping with sizes of fridge and storage space in mind. I have to remind my husband that we can't buy the large economy sized items anymore! East Texas Girl: That's a great idea and one I hadn't considered. However, I have very little spoilage as I buy "small" and replenish as needed. I prefer fresh produce, but if this idea works for you, great. Thanks for the read. MikeNV: Clearly, some RVs have larger kitchens than others. I actually find it easier without a dishwasher or disposal. And when not hooked up to water, I definitely use paper and plastic. Thanks for stopping by. Wesman Todd Shaw: Bravo for being a full timer...very smart move, especially in this economy. As for the sink issue...get a dishpan and use it instead of the sink! Use the sink for rinsing the dishes. I do it all the time and it works out great. Thanks for visiting and thanks for the follow. Dehydrated fruits and vegetables are great for RVing. You do not have to worry about it taking up space in the fridge or bouncing around and getting ruined. This really depends on the RV. I've not had a problem. The most missed items are the Dishwasher and the Disposal. 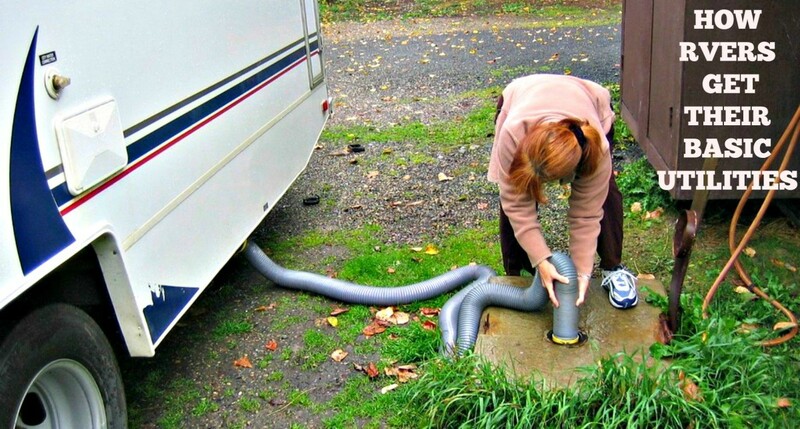 Can't put things down the RV Pipes. And if you are not hooked up to a water supply you waste a lot of water doing dishes so disposable flatware and plates/bowls are useful. I've not lived in one full time of course so I'm sure that has a whole new group of challenges. I've lived in my 26 foot rv for three years now. The truth is that I mostly learned to cook in here. Of the propane used....less is used for cooking than anything else - but I do not use the gas heater...I use electric heat. For me - the biggest issue is the small sink! That thing fills up in no time! Cardisa: That sounds like a plan! Then it's propane and frugal living/cooking for now then...lol. When I get my RV I will come back for your tips. Hi Cardisa: Thanks for the read. I actually owned an RV with solar panels on the roof...the problem is that they don't pull enough power to get the job done, and there isn't enough room to house the batteries that would be necessary to store the electricity. However, maybe in time they'll come up with some way of making this idea work. It's a great thought! 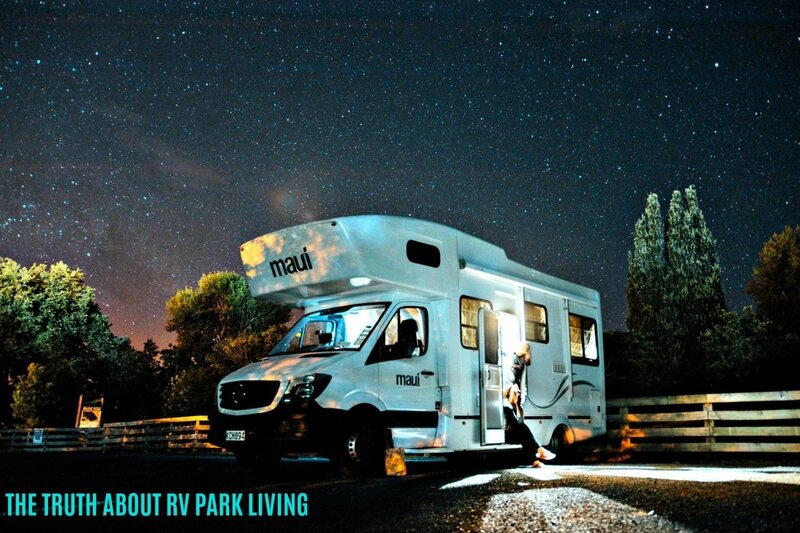 Hope your RV dreams come true one day. I would think that a solar panel would be the cheapest way to go. You could hook up the oven and stove top to this and run your appliances on it. That way you could eat whatever you want whenever you want. 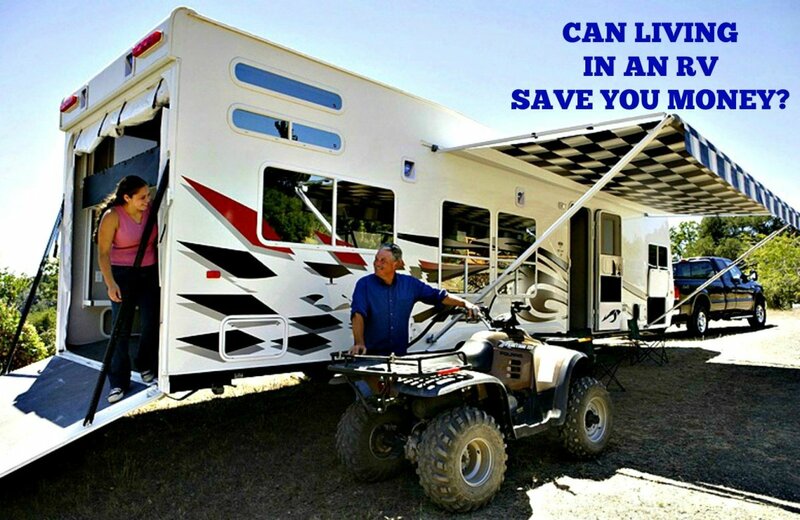 You could save the RV battery power by using the solar for most of the gadgets and appliances in the RV. I would only use the propane for emergencies in case the solar panel needs repair or somehow it rums out of stored energy and they is no way to recharge which is very unlikely. puter_dr: If you did an entire thanksgiving dinner in such a small kitchen my hat is off to you! That's amazing! Thank you for reading. 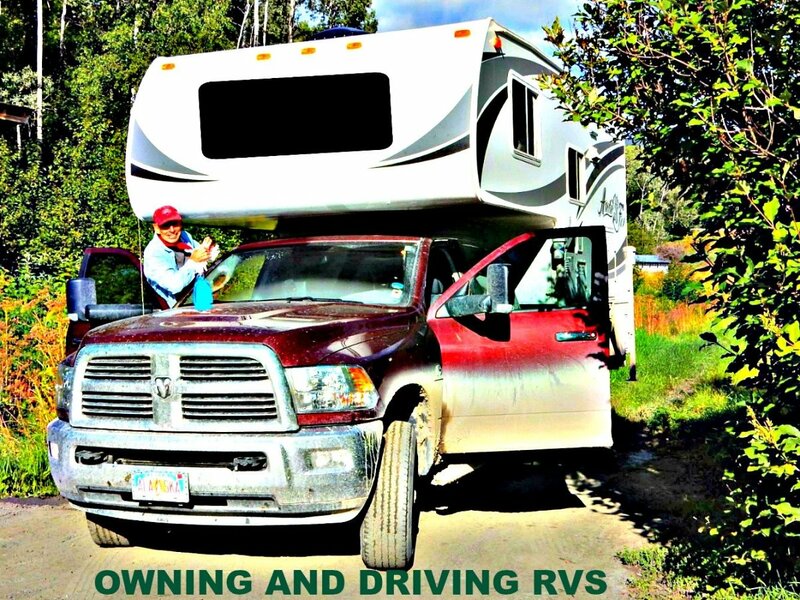 Some good tips for RV users as well as people who live in compact apartments. I had to cook Thanksgiving in a tiny apartment kitchen that had the mini stove/oven and it was indeed a challenge.